Sundial Moto Sports • View topic - down pipe and silencer gasket?? down pipe and silencer gasket?? Post subject: down pipe and silencer gasket?? down pipe and silencer gasket are bl**dy expensive for what they are. I seem to remember one guy on here found a cheaper solution. can any remember what he used. if not have you found a cheaper alternative? Post subject: Re: down pipe and silencer gasket?? I seem to remember one guy on here found a cheaper solution.can any remember what he used. Are you talking about the this? If so.....Guilty as charged. viewtopic.php?f=2&t=13449&p=170042&hilit=high+temp#p170042"
I don't know if it is a cheaper solution for all....I guess it depends on how many miles you put on the clock and how long the sealant lasts. I've been doing it this way for a long time and don't remember how long the stock seals lasted but it seemed not long enough to me.... especially for the cost of them. 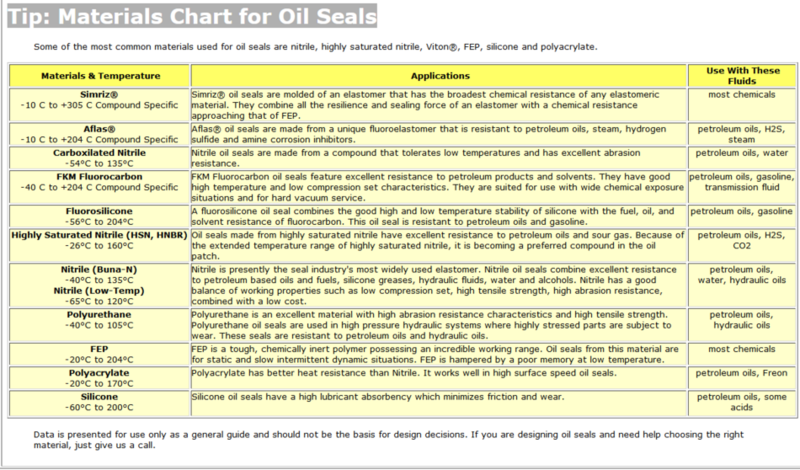 Like I said earlier, they are nothing but big oil seals. I'm thinking in the automotive harmonic balancer seal range to start looking again, https://www.google.com/search?q=harmoni ... tP-rhqc1KM" though there are sites you can just enter dimensions. John, if you do this, before you do, can you measure the O.D. of the header/down pipe and the I.D. of the muffler seal pocket? I'll go ahead and add one of the OEM seals to a list of parts I will be ordering soon as I double-check my stash to make sure I don't order a part I already have. Should be ready to order in a couple of weeks. I'll get the actual seal measured up and try again for a few days to find a generic seal the same size. In the mean time..... a good clean up, finishing up with a good wipe down of acetone and wait at least 12-14 hours (24 hrs. would be best) before starting engine. Using something like this coated in the RTV silicone to help it stay in crossed my mine mind also......but only crossed it. a friend of mine was enquiring so I've passed it on to him. they only lasted about a 1,000 miles before they started weeping. managed to buy a set for $59 from the states. that was the cheapest I could find. Robinson foundry wanted $79 plus postage so you'd be looking at $87 or more. the seals that are on now look newish so I'll leave them on for now. I will be taking my bike a part next week. I'll measure the pipes etc then. and thanks for the reminder/estimate on how long they usually last. 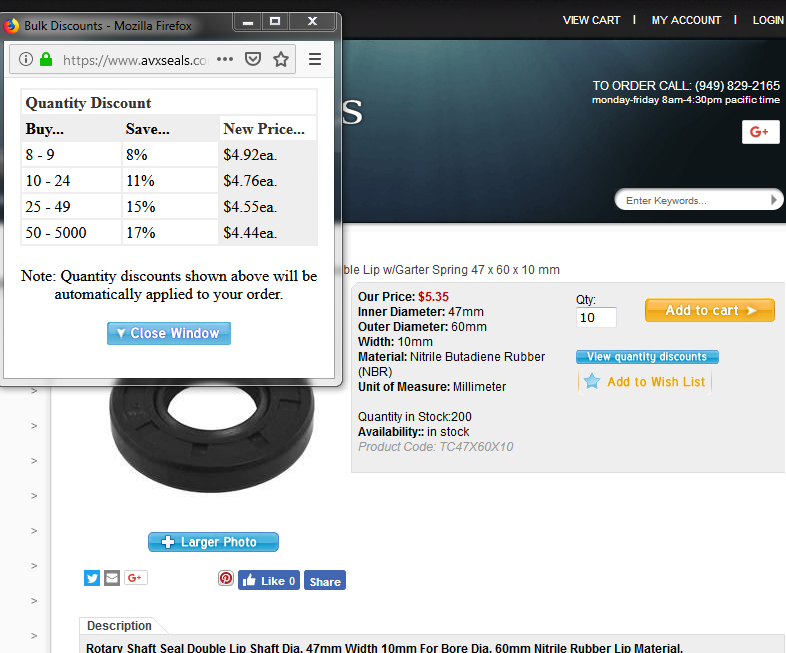 Partzilla reduced their price awhile back to $20.62 USD but I think that is still out of line....as you say...."for what they are". I am curious what a local dealership is paying for them and I think if I ask about just this one part, the parts manager will tell me. They do beat online parts prices for me a little but I am not sure if they will go down any further.....maybe just for this one item?.....I won't tell anybody. I'm sure I have read it before but I don't remember......anybody reading this know what the temperature reaches at this area we are discussing? theres an alternative.got this off facebook. Lots of alternatives if you go by the measurements of that seal on that ebay listing. I'm not so sure that is indeed the correct size seal. 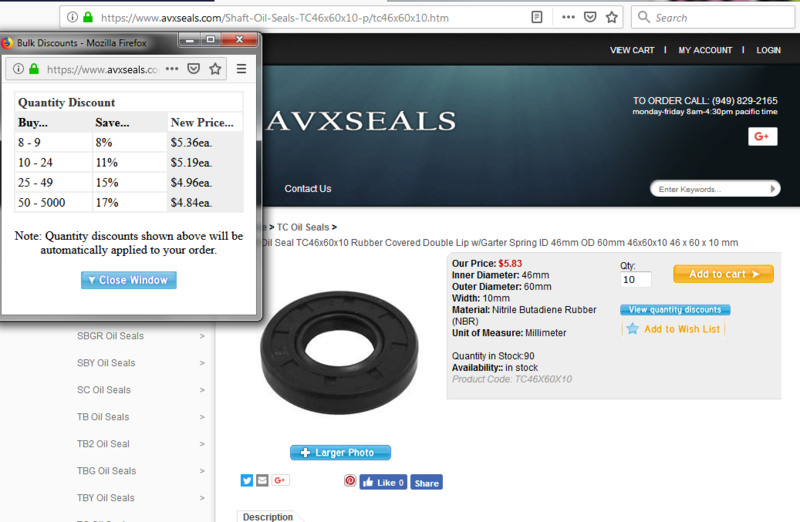 You can enter those dimensions..... '60x45x9 oil seals'.....into your google search engine and come up with dozens....even blue. Though the blue are polyurethane. https://www.google.com/search?biw=1426& ... K0te3MOyYY"
Dimensions from a brand new Suzuki seal is what I would like to see. Anyway, even the OEM one was not made from a material that can stand up to the heat for very long. Here's one I found on my side of the big pond in that size but I think I saw one like the one you posted that was made from Polyicrylate which has a little better temperature range. https://www.avxseals.com/Shaft-Oil-Seal ... gKXePD_BwE"
I found an old OEM seal. My old vernier caliper is toast but with some careful measuring with just a ruler, I come up with an outside diameter of around 60 mm for the O.D. 10 mm for the height. Not to sure on the I.D., it is a bit torn up. The diameter of a spare down/header pipe is 48mm. I think a 45 mm I.D. seal would be a tad too tight and may shorten the life of the seal lip with the heat and the garter spring working against it. I jumped ahead to cart to check out shipping costs and I think it is 'free shipping'....I hate that phrase .....let's just say it looks like shipping is included in the price for shipping in the states......not 100% sure yet. Quantity discounts available for over seven pcs. I think I'll take the old seal and spare down pipe to a local bearing and supply house next week and see what they can come up with also. See what type of seal lip would be best/most durable for this application also. hhmmmm..... Silicone and Viton, better resistance to heat as shown in the chart above but still should have never been used for the exhaust. Just a bad idea/design by Suzuki....just like the T500 kickstart lever design. Oh well, Suzuki didn't expect that people would be fretting over these machines 40-50 years later. Blue and red silicone seals....wonder if their vendors/manufacture's have/already make the correct size. Price is probably still higher than one might like if quoted a price for a small quantity or large quantity. Might check into this wholesaler later ....maybe not.